Preserved lemons are a glorious treat! Their mellow yet sophisticated flavor enhances fish and roast chicken dishes, as well as cut the richness of heavy winter soups and stews. They can brighten all manner of salads, spice up your dips, and even make the most simple pasta dish shine. They’re truly a must have in the kitchen. Preserved lemons are common in Indian and North African cuisine where their intense lemon flavor accentuates their many tagine dishes. Holistically, they can be used for stomach ailments and cutting through sticky congestion. Just toss a slice in some tea and you’re good to go! 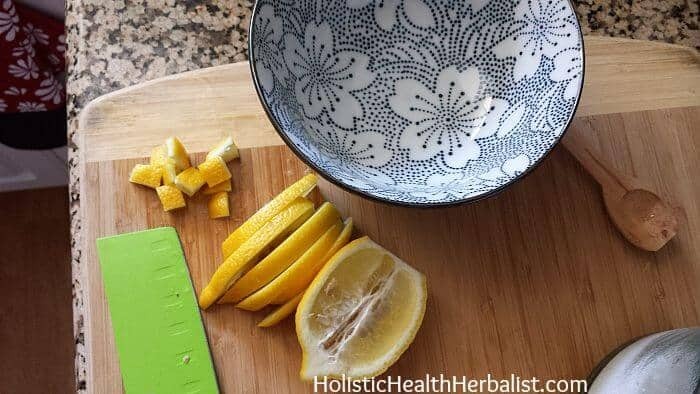 The Wonders of Moroccan Preserved Lemons and How to Make Them! I came across my first preserved lemon while at work believe it or not! I was helping a woman locate these “preserved lemons” and truth be told, I had no idea what she was talking about, I had never heard of such a thing. Oh, how ignorant I was! I told her so and she balked with complete and utter disbelief! “Oh, surely you MUST have one now!” She exclaimed. And so off we went to where I expected we might find them, and lo and behold, there they were atop a glass display, surrounded by cured meats and gourmet cheeses sparkling in the largest jar I’ve ever seen. I watched the girl behind the counter reach elbow deep into the jar to fish out the 3 best lemons. There weren’t many left. Clearly, these things were popular! The woman asked to have a sliver cut off of one for me to try. Let me just say that for that wonderful instant, I was transported somewhere else. These things are amazing, and I’m going to teach you how to make them. 2. Meanwhile, sterilize your jar. You can place it in the oven for 15 min or carefully pour boiling water over it, just don’t crack it! 11. 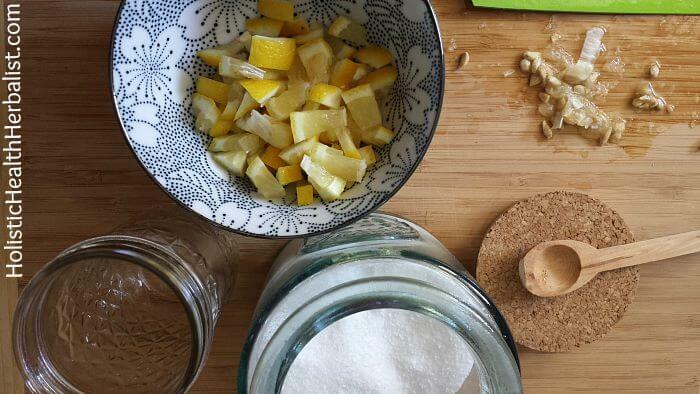 Wipe the rim of your jar carefully, screw on the top, label, and let them ferment for 3-4 weeks in a cool dark place. No need to shake! [yumprint-recipe id=’73’]These pictures below are how I make a smaller batch of preserved lemons. Once you have waited 3-4 weeks for your lovely preserved lemons to ferment, you can finally use them! Another way to use and enjoy preserved lemons is to toss the whole batch (sans bay leaf after the lemons have fermented) into a very clean food processor and blend it into a puree. You can then very easily use it in dressings, stews, tagines, soups, you name it – without having to chop anything. 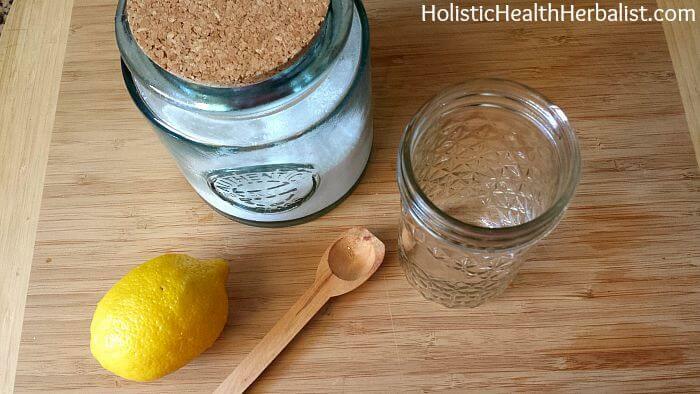 Have you ever made Morrocan preserved lemons before? Please share in the comments! Salt, sharp and citrus – lemons preserve us.